What kind of faith requires knee-jerk support for a foreign country? Apparently, Perry is a follower of a Protestant brand of Christianity known as “dispensationalism,” which holds that the End Times are approaching – and that one of the signs of the imminent apocalypse is the gathering of the Jews in the land of Israel, as supposedly foretold in the Bible. 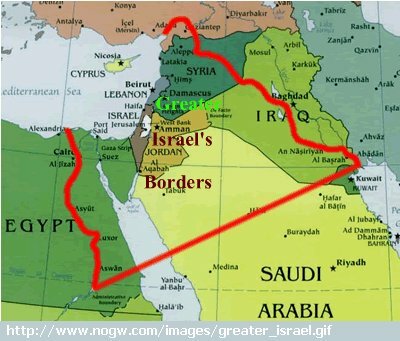 Some dispensationalists equate this with the founding of the Israeli state, in 1947, and the subsequent migration of many Jews to that country. According to dispensationalist theology, this phenomenon prefigures the start of an earth-shattering war, one that will pit Israel against the Forces of Darkness, herald the rise of the Anti-Christ, and ignite a battle that will take place on the field of Armageddon – after which Christ will return to earth and the faithful will be “raptured” up into Heaven. Now, I don’t intend to disparage anyone’s religious beliefs, nor do I want to engage in the kind of snickering that usually accompanies commentary on this subject: everyone is entitled to their own faith, and, aside from that, there is something a little unsavory about the smugness and self-righteousness that is usually attached to discussions of the impact of Christian fundamentalism on American politics. There is no religious test for holding office in these United States, and it seems to me that some liberals have been trying their best to establish one – a test of irreligion – in order to marginalize millions of Americans. This kind of intolerance is mirrored, on the right, by some – like GOP presidential aspirant Herman Cain, for example – who have raised questions about the ability of religious Muslims to have their voices heard, or even to hold office. Who is being “appeased” here – the Palestinians, or the Israelis? Perry supports continued “settlements” of Palestinian lands, and also says he wants to move the US embassy from Tel Aviv to Jerusalem – a symbolic affirmation of Israel’s claim to the “undivided” capital of the Jewish state. This contradicts the policies of two Republican presidents – both named George Bush. It also violates the essential meaning and function of US foreign policy – to protect specifically American interests. We gain nothing by weighing in on where the capital of the state of Israel shall be – although I’ll note that nearly every successful presidential aspirant made such a promise during the campaign season. That this promise was summarily broken once they got in the White House speaks volumes about the politics – and the reality – of this issue. Perry says we should “stand by Israel,” our faithful ally and the only state in the region with a long democratic tradition, and this proposition seems reasonable enough – until one begins to examine it a little more closely. Because the Israel of yesteryear – the Israel of Exodus, of the “peace process,” of the liberal humanistic tradition out of which Labor Zionism sprang – is not the Israel of today. The foreign minister of the Jewish state is one Avigdor Lieberman, a fanatic whose bigotry and aggressively nationalistic views have made him an embarrassment even to the hardline government of Prime Minister Benjamin Netanyahu. For example, when relations with Turkey soured, Lieberman threatened to arm the PKK – a Kurdish terrorist group that has been attacking the Turks for years. Netanyahu tried to distance his office from such irresponsible ranting, but when I awoke, this morning, to the news that a bomb had gone off near government offices in Ankara, I wasn’t all that surprised. This raises serious questions about who, exactly, is in charge in Tel Aviv – the crazies, represented by Lieberman and the “settlers,” or Netanyahu? However, a larger question needs to be raised: what has Israel become in the years since the signing of the Camp David Accords? Since that time, the Israeli electorate has moved so far to the right – that is, in the direction of expansionist nationalism – that there seems to be no room for moderates of any stripe. After years of nurturing, subsidizing, and otherwise encouraging the “settler” movement – which is imbued with the ultra-Zionist dream of establishing a “Greater Israel” – the chickens, so to speak, have come home to roost. The settler movement represents almost as great a threat to the stability and authority of the Israeli government as the radical Palestinian factions – greater, perhaps, because the danger is coming from within. Perry is encouraging this tendency in Israeli politics: he appeared at the press conference with Israeli Knesset member Danny Danon, an ultra-nationalist rival to Netanyahu who wants to revoke the citizenship of Arab Knesset members on dubious grounds, and heads up the wing of Likud that considers even a hardliner like Netanyahu a sell-out. Danon is the darling of the settler movement, and enjoys more support outside of Israel than he does on his home turf. He headed up the ultra-extremist Betar group – an organization which has its origins in an early wing of the Zionist movement that modeled itself on the example of Italian fascism, merely draping a “Zionist” façade over an authoritarian vision of a homogenous volkish state. He is a regular on America’s “Israel First” circuit, lecturing to groups of born-again dispensationalists – Perry’s crowd – as well as more mainstream venues, updating Betar’s authoritarian stance by calling for legal sanctions against those who organize “anti-Israel” boycotts, which apparently also means boycotts of “settler” products. By appearing on the same stage with Danon, Perry is legitimizing and encouraging the worst impulses in Israeli society – and putting our own interests at risk. If Israel should implode in civil war – and, with the settlers getting increasingly militant, and in open rebellion against the Israeli government – it is numbskull opportunists like Perry who will bear a large part of the blame. By egging on the Israeli equivalents of the Aryan Nations, they will wind up with blood on their hands. Aside from that, it hardly seems all that presidential for the would-be Republican nominee to be onstage with Bibi’s rightist rival in the Likud party – not someone who came in second in the bid for the party leadership, but Danon, who came in third! What gets me is that these people actually believe they are helping Israel, when their actions are the quickest way to destabilize that country I can think of. A Christian of the dispensationalist variety, who truly believes that the safety of Israel is of paramount concern to God, would have no reason to incite an extremist element to violence against the legitimate government of Israel. And even if that government came to embrace that extremism – and, say, was taken over by the Liebermans and the Danons – their policies would endanger Israel’s very existence, and deliver the country to the Devil. So, even in their own theological terms, Perry and his fellow dispensationalists are wrong, wrong, wrong.